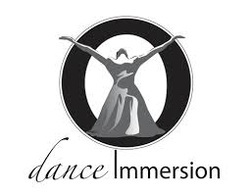 dance Immersion is a not-for-profit charitable organization that promotes, cultivates and presents dancers and dances of the African Diaspora. The African Diaspora refers to the communities throughout the world that are descended from the historic movement of peoples from Africa - predominantly to the Americas, the Caribbean, Europe and the Middle East, among other areas around the world. Our mandate is to introduce the general public to various styles of dance and dance artists through presentations, workshops, forums, and Youth Arts programs. The organization provides a nurturing and supportive environment of dance expressions for professional and aspiring dance artists, working in various styles. Through the vehicle of its programming dance Immersion has established itself as a one of a kind entity in Canada. The organization is committed to actively seeking out, supporting and presenting the artistic product of dancers and dances from the African Diaspora to the broader community. Our Presentations take place throughout the year with a goal to facilitate and promote the contributions of dance artists and choreographers from the African Diaspora living in Canada and abroad. Dance works reflect traditional to contemporary compositions that are curated for a full or shared program, over three days. A matinee performance is included and is geared towards families, community groups and audiences new to dance. Presentations have taken place at Harbourfront Centre and various venues throughout the GTA since 1995. The organization also offers a variety of programming that promotes skill development, residencies and networking. Since 1995 we have presented at Various Venues at Harbourfront Centre and throughout the GTA.